We are a leading Wholesale Trader of air duct hoses from New Delhi, India. We have emerged as foremost manufacturer, exporter and supplier of a wide gamut of Air Duct Hose. For the fabrication of this product, we utilize premium quality raw material and latest technology that assure its extended durability and perfect finish. Also, we can customize this product in different specifications in terms of lengths & sizes in accordance with the detail provided by client to full fill their exact needs. Precise dimensions, sturdy construction, corrosion resistance, high strength and accuracy are some of the salient features of this product. 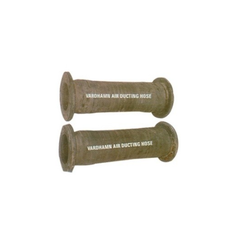 These air ducting hoses are widely used in various engineering workshops and at many construction sites. These are quality tested in various parameters and thus provide a flawless performance to our clients at very reasonable rates. Looking for Air Duct Hoses ?